February hasn't been the best month for me. No excuses, it just wasn't. So I am very glad to be entering a new month in a couple days time. I had to look back through the archives of both my blog and my diary for this one. And then it hit me...I had made goals. Goals that weren't productive for what I needed. *Exercise at least 3 times a week. Well out of all of them I think the ones I have been most successful with is number one (exercise) and number three (Drink more). So not too bad, but I also made a big mistake in the fact I decided to step on the scale, and it really discouraged me. It just doesn't motivate me as much as it used to, and that can only be good news. I definitely believe that it's good to check in every once in a while to keep yourself in check. But it's not as much as a tool as it used to be. Instead, I like to measure myself by how much I am lifting at the gym. Or how many reps I have done of a certain weight. That's definitely where my motivation is at, and from that I am learning things about my body. Which to me is one of the greatest things about exercise. When you first begin it is all new and everything is quite challenging, but as you work at it you get better. That's another reason why I love it. You get out of it, what you put in. And that's not always the rule of thumb for everything. I am going to mull over my goals for next month, but I am going to make them deliberately specific to gym goals I want to achieve within the next month. Which will be hard because I am working full days Tuesday the 11th to the 15th, and there's plenty of deadlines at the end of March. All in all it's fair to say March will be a very busy month. 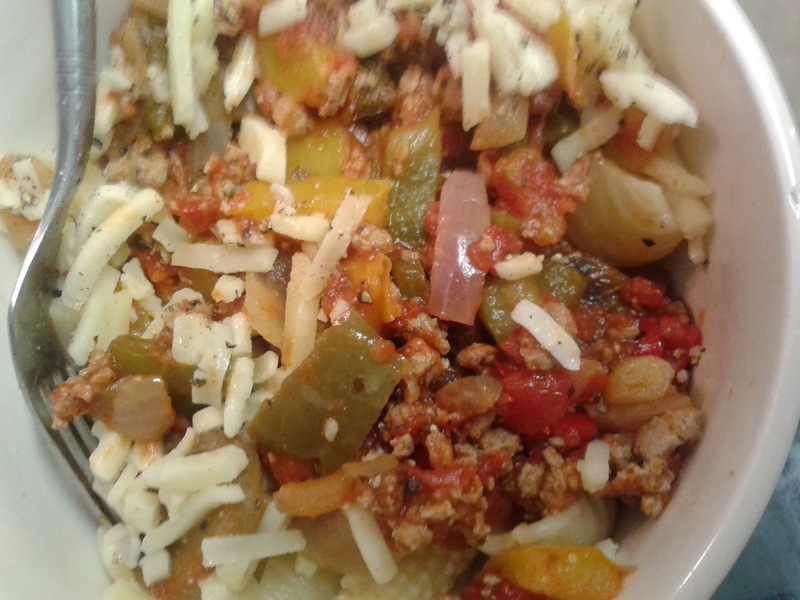 I thought that I'd include a picture of my evening meals/snacks, since for once I actually remembered to take photos. I swear I will become better at this...one day soon I hope, because I like sharing my recent eats and snacky finds on here. 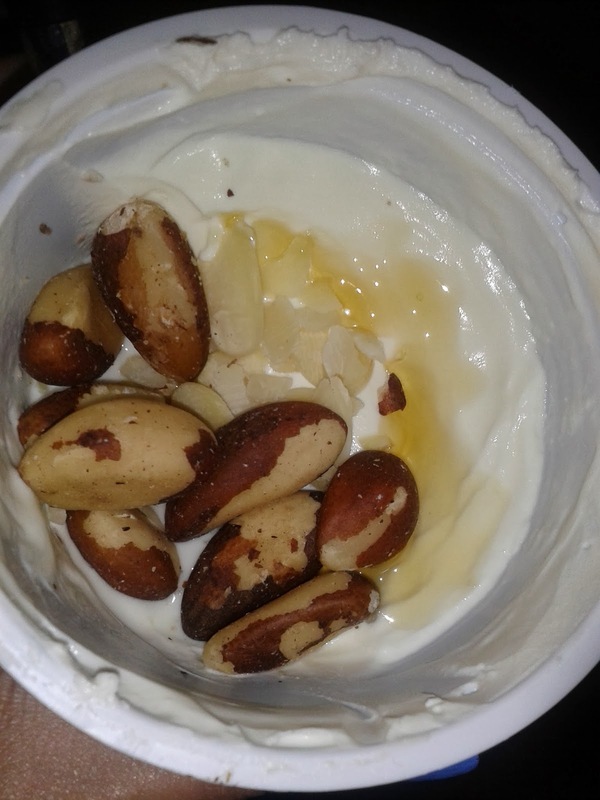 One of my evening snacks - half a tub or Greek Yoghurt, Brazil Nuts, Honey, Almond Slithers...deelishious! What's your favourite night-time snacks? How well did you do with goals this month?